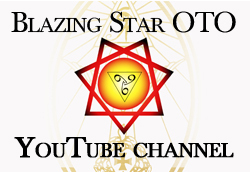 Blazing Star Oasis is a beacon of Thelemic community and culture, radiating the Law of Thelema throughout the San Francisco Bay Area, California. We seek to extend the Law of Thelema throughout our region through (1) celebrating our sacramental and initiatory rites, (2) cultivating a community that recognizes the uniqueness of the individual centered around the shared ideals of individual liberty, self-discipline, self-knowledge, and universal brotherhood, and (3) establishing ourselves as a nexus of Thelemic culture and art. Blazing Star Oasis is a chartered body of Ordo Templi Orientis (O.T.O.) a fraternal organization dedicated to the promulgation of the Law of Thelema as heralded by Liber AL vel Legis, The Book of the Law, received by Aleister Crowley in 1904 e.v. The O.T.O. is committed to the high purpose of securing the Liberty of the Individual, and his or her advancement in Light, Wisdom, Understanding, Knowledge, and Power, through Beauty, Courage, and Wit, based on the Foundation of Universal Brotherhood. Thelema proposes a new moral code for mankind, and challenges every person to claim freedom from external constraint and superstition by embracing personal responsibility, and the liberation that comes from the realization that each person is the sole authority in their own life. Ultimately, this autonomy can only be secured through the efforts of the individual. However, many worthy aspirants to the Great Work have a genuine need for knowledge, guidance, fellowship, or the opportunity to assist their fellow aspirants on the path and serve humanity. Such aspirants will find welcome in O.T.O. The activities of the Oasis are twofold: those of the Ecclesia Gnostica Catholica (E.G.C. ), or Gnostic Catholic Church, and those of the Mysteria Mystica Maxima (M.M.M. ), which offers progressive ceremonial initiation into the mysteries of Ordo Templi Orientis. Additionally, the Oasis offers classes of instruction and group rituals including a variety of esoteric practices, including magick, hermetic science, yoga and related topics. Our E.G.C. temple hosts regular celebrations of the Gnostic Mass (Liber XV), the principle public ritual of the O.T.O. The Sanctuary also celebrates the Rites of Baptism, Confirmation, and Ordination for those meeting E.G.C. requirements. Currently the Oasis operates mostly in Oakland, California. We hold public celebrations of the Gnostic Mass every Sunday at the Bay Area Thelemic Temple in Oakland. We also hold classes and social events which are open to the public. If you wish to be informed of our activities, feel free to add our Google Calendar or join our Facebook Page where we publish our calendar of events. Blazing Star Oasis is a volunteer-run organization. To financially support our work, we gratefully accept donations, in addition to regular dues paid on a voluntary basis by our Members. 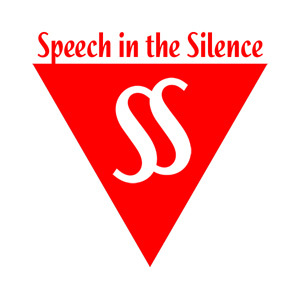 We are also the home of the Speech in the Silence, podcast on Thelema, Aleister Crowley, Magick, and OTO, as well as The Grady McMurtry Project, an archive of letters, poetry, photographs, and other materials related to Grady McMurtry, a.k.a. Hymenaeus Alpha.